Don’t get me wrong. I used to love Instagram. By all means: Instagram made me realise my passion for photography and traveling. Ultimately it made me quit my (rather uninspiring) office job to pursue a new career path. I should be thankful, right? But that’s about all that I have to say in favour of Instagram today. From fake numbers to fake humans? Instagram has become a poisonous place of envy, deceptions and lies, mistrust and valid reasons for mistrust. Everyone seems to be cheating on Instagram. All the numbers seem to be untrustworthy if not fake. And let me tell you – it’s easy to be angry or disappointed because of it. I often am and have been an avid contributor to uncover all the problems of Instagram (read my story about how I got to 270.000 followers on Instagram for a hint of it). But more importantly, Instagram has an affect on our attention span, on our happiness – and ultimately on us as humans and our society. It’s not easy for me to state this as I built my career off of Instagram. Today I’m still living off of my reputation on Instagram. So, it’s a hard call for me to judge Instagram. And it might affect my career. But I believe it’s worth it! Let me start at the beginning: Instagram was built by knowingly using (or rather abusing) the weakness of people. The weakness of humans is the need for social acceptance. The need for validation. 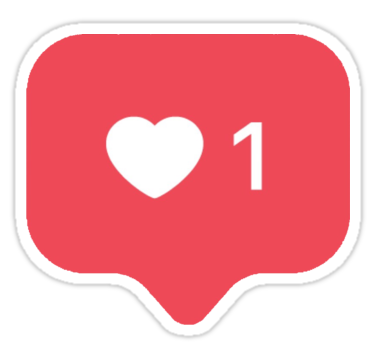 In Instagram’s case: The “need” for likes, comments and followers. Maybe it’s even a substitute for real social connections? Before I get too philosophical, let’s just look at the basis, the foundation of Instagram. You set up a profile and the first thing Instagram suggests is that you invite your friends and follow people. It’s concealed as a place for social interaction, but it mostly just wants you to get sucked into a vicious circle of hunting for the numbers. Just look at how Instagram’s user interface is flooded by numbers. You’re own profile is not dominated by your profile photo, but by your numbers. The numbers of posts, followers and followings gets more space than your portrait photo. On a photo platform. Funny, right? The same goes for every photo you post. Instagram shows the number of likes before your own text. Is it more important how many people liked that photo, than what you have to say about it? This seems to be the case. The numbers have a higher ranking than your story about your photo. Who reads this text anyways…? So what happens next? Unconsciously you’ll get addicted to those numbers. This is not something you can fight. Not even knowing about this helps you fight it. Why? It’s in our DNA, in our brain. We’re built to validate ourselves by social interactions. Social Media makes us become addicted to dopamine. Those little shots of “happiness”, that we get from likes and followers. Have you heard of the Center for Humane Technology? No? Does “Time well spent” ring a bell? No? Did you read about Facebook’s former exec Chamath Palihapitiya saying “Social media is ripping apart society“? No? Their messages about the danger of Social Media are amongst the most important of today. But obviously our mass media finds it more interesting to discuss the profanity of cheating and buying followers on Instagram (amongst other stuff). Well – go ahead and feed the monster. I’d like to shift the discussion. This group of former tech insiders (think Google & Facebook execs) has come together to make the world understand how Social Media is a threat to our society. And it’s worth listening to them! How right Tristan is in his TED-talk. We only have the choice to be ON or OFF today. We can either be a part of Social Media and be constantly distracted and shot full of dopamine (which then is withdrawn again, so that we come to get our next dose). Or we can not be on Social Media and miss out. For me the decision is clear: I can’t be OFF. And I don’t want to be completely off. It’s not only my job. I still find inspiration on Instagram (mostly on accounts, where the numbers don’t even matter to me). I still connect over important topics with my peers on Facebook. I still have interesting discussions via Instagram Stories and Direct Messages. So the choices should be expanded. We need something in between ON and OFF. For this I have a few requests. Among them: The numbers have to be deleted from Instagram. There is a solution for Facebook called the “Facebook Demetricator“, which makes all the numbers go away. Instead of looking at “32 people have liked this” you’ll read “people have liked this”. Doesn’t this sound nice? Unfortunately we still have to wait for someone to come up with the same thing for Instagram. Or we join together an urge Instagram to change their platform. Wouldn’t we have the power? Tristan suggests to introduce a new KPI, a new kind of metric of success called “Net positive contribution to human life”. Wouldn’t that be what we would ultimately want from Social Media? That it contributes positively to our life? Let’s pressure Instagram to measure their success differently. Not in user numbers, usage growth, time spent. But in time well spent. 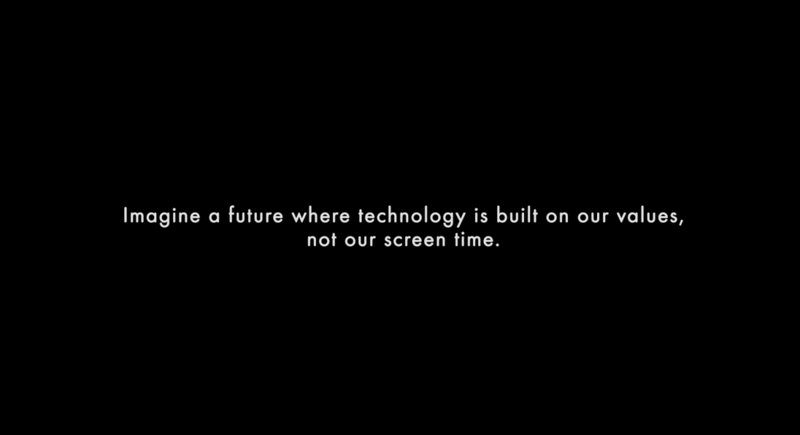 Only our demand can change technology! I totally agree with you! I personally quit some time from social media because of many people posting provocative content in my country (Indonesia) and it’s no fun at all watching people stories anymore, it’s boring. I realize i just had FOMO after succeed to pass ‘my envy stage’. It’s depressing when using instagram. Then after a couple months, I’m back with new account, following only people i want to follow, and unfollow all the negative vibes sources even if they’re my friends. I miss all the beautiful pictures in instagram that people (like yourself) post. And I believe true friends wouldn’t make it as problem if I unfollow them, beacuse we have great relationship in person. But as business, i personally think instagram and facebook really great to built community and market to develop our business. But yes, number really bothering me too. If instagram doesn’t have followers number, maybe all user can feel equal, fair enough. I am definitely in, Marion. Where can I sign the petition ? The Facebook Demetricator was an interesting idea, but not more – I highly doubt that hiding the numbers would make that much of a difference on Instagram these days. When Instagram started, there was no filtering algorithm. Unlike on Facebook, you would see every update of every user you ever followed. I remember a couple of years ago some product guy stating that “Instagram would never filter content”, just like Zuck stated a couple of years before that “Facebook was never going to clutter the newsfeed with ads”. I agree with you Ritchie. Unfortunately it’s becoming harder to use Social Media for social interactions. But I do see that Facebook is at least taking that problem into consideration lately. Not that I believe, that they will all of a sudden turn into a non-profit 😉 But at least we as consumers can pressure them to create an environment, that we want to stick around in. I do see the latest VERO hype as a direct result of the frustration of Instagram users. And that alone should serve as valid warning sign for Facebook/Instagram! Danke, lieber Johannes! Schade eigentlich, dass es uns allen so gehen muss… gestern war ich beim Neovideo Kongress – dort hat eine Facebook-Mitarbeitern einen Vortrag gehalten. Darin kamen schon ganz neue Ansätze vor – auch in Richtung #TimeWellSpent. Also ich glaub (bzw. hoffe) es tut sich was!